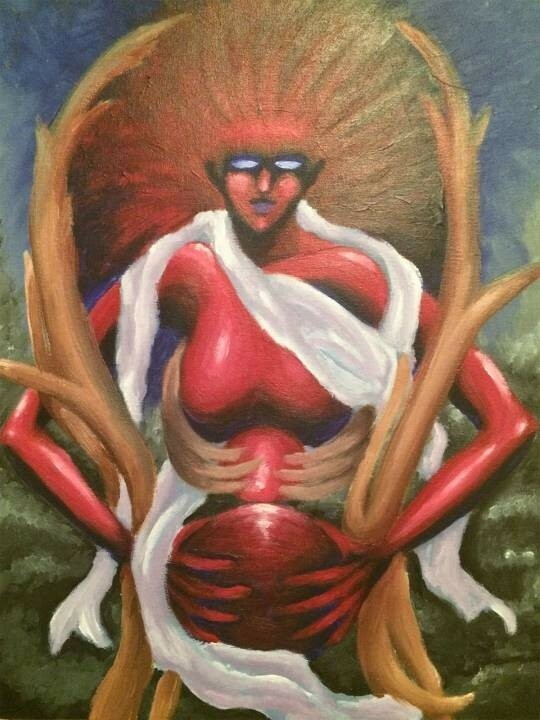 This Acrylic painting was based off my comic Crusade. Kissa has powers to unlock other worlds, and in this painting, she has gone too far out of her own world, and has become other worldly. Basically becoming the embodiment of time itself. I don't really have a valid critique of this, but I like it very much. This is a good job, but honestly I have to read your comic to understand it.